Our popular Sunday Buffet is back for one day only in 2016, featuring expanded choices to make it extra-special for Mom. Mention Taylor’s Gift with your purchase at any i Fratelli location on Monday, April 4 and they’ll receive 15% back to continue their good works. Applies at all locations, for lunch and dinner, for delivery, take-out, or dine-in at i Fratelli Ristorante & Wine Bar. 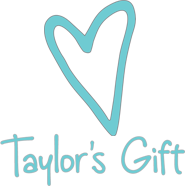 We’re proud to present this Taylor’s Gift fundraiser as a part of our DoughNation program. changing the conversation of organ donation to be a positive one about life and encouraging an “Outlive Yourself” spirit.